We may live in astonishing times, but they are not incomprehensible when you know how to read the signs. Everybody says we're entering the Age of Aquarius, but when does it start, and how will we know what it looks and feels like? Ray Grasse deciphers the signs and correspondences of our nearing Aquarian future, using the tools of astrology, synchronicity, and mythology. He draws richly from contemporary religion, art, politics, science, even current movies, to show how the cultural signs of Aquarius and our likely future are already apparent and changing our world. The Aquarian Age will be marked by its intensely mental quality, when information will be the driving force of society and the biggest challenges we face will be those of the mind. Decentralization will be the order of business, either the empowered individual will reign supreme, or the collective interests of globalized society will predominate. It could be both. We are all participants in the global drama and all aspects of our inner and outer lives are bound up with the new Aquarian themes. 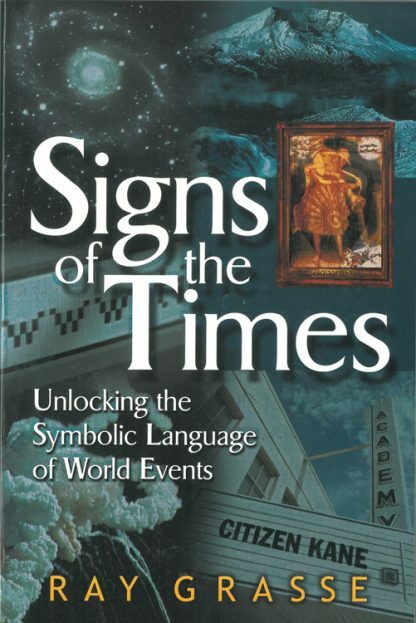 Signs of the Times is the authoritative travel guide for the trip into our future � don't leave the present without it.